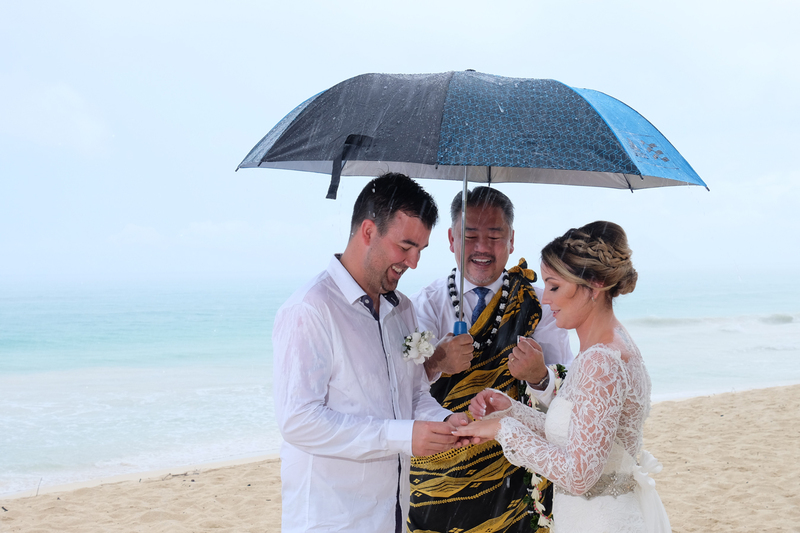 Two thumbs up to this wonderful Hawaii Wedding couple with a positive attitude even in the rain. 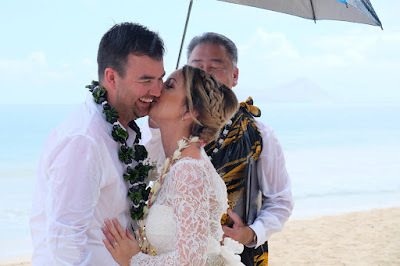 Right after their ceremony the weather cleared and the rain stopped. 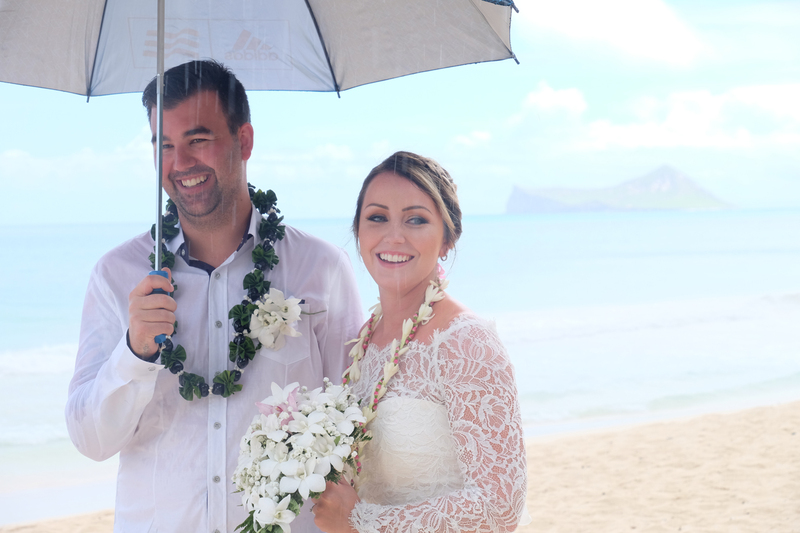 Thanks to Pastor John for performing this wedding with a smile regardless of the weather. Mahalo!